A diet of fast food and takeaways may be behind the steady surge in children’s asthma and allergies affecting the UK and other developed countries, according to a study. An international collaboration of scientists has found that young teenagers in particular are nearly 40% more likely to have severe asthma if they eat burgers and other types of fast food more than three times a week. Children aged six to seven had an increased risk of 27%. Children eating fast food were also more likely to get severe eczema and rhinitis – a condition where the nose blocks or runs and the eyes are itchy and water. The scientists, from New Zealand, Spain, Australia and Germany as well as Nottingham in the UK, say their study could have “major public health significance owing to the rising consumption of fast foods globally” if the link they have found turns out not to be coincidence but causal. The good news was that eating fruit appeared to protect young people from asthma and allergies. Eating three or more portions a week reduced the severity of the symptoms by 11% among teenagers and 14% among younger children. The research, published in the journal Thorax, part of the BMJ group, came out of a large collaborative project called the International Study of Asthma and Allergies in Childhood (ISAAC), which involves nearly 2 million children in more than 100 countries, making it the biggest of its kind. The fast food study involved a relatively small proportion of the children taking part in ISAAC, from two age groups: 319,000 13- to 14-year-olds from 51 countries and 181,000 six- to seven-year-olds from 31 countries. The children and their parents were sent questionnaires about their eating habits over the previous 12 months. They were asked how often they had eaten specific foods, including meat, fish, fruit and vegetables, pulses, cereals, bread and pasta, rice, butter, margarine, nuts, potatoes, milk, eggs, and fast food/burgers. They were also asked whether and how often they suffered from specific asthma and allergy symptoms – and if so, how severe they were and whether they stopped them sleeping or interfered with daily life. Fast food – the authors specifically mentioned burgers only because it was the reference to fast food that most people would understand – was the only food type associated with asthma and allergies across all age ranges and countries. The authors said that “such consistency adds some weight to the possible causality of the relationship”. But they said more research would be needed to discover whether fast food is definitely a problem. The fast food link was stronger among teenagers than among the young children, which the authors suggest may be because adolescents have more independence, money and control over what they eat. 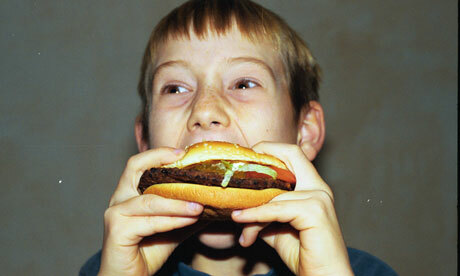 The paper says a link between fast food and asthma and allergies is biologically plausible. It could be “related to higher saturated fatty acids, trans fatty acids, sodium, carbohydrates and sugar levels of fast food and possibly preservatives”. Fast foods have high levels of industrially hydrogenated vegetable fats such as margarine, which can be a source of trans fatty acids – “and there is some evidence that dietary intake of trans fatty acids is associated with asthma and allergy”, say the authors. In the teenagers, eating butter, margarine and pasta was also associated with asthma symptoms. Studies which involve asking people about their diet can be problematic, because people either forget or tailor the truth. Professor Hywel Williams, from the centre of evidence-based dermatology at Nottingham University, said recall over the 12 months of the study was more likely to be inaccurate than biased and this would tend to dilute any association between fast food and asthma, rather than the reverse. The study did not differentiate between types of fast food. “Our question simply asked, ‘In the past 12 months, how often, on average, did you (did your child) eat or drink the following: meat; seafood; fruit; vegetables (green and root); pulses (peas, beans, lentils); cereal; pasta (including bread); rice; butter; margarine; nuts; potatoes; milk; eggs and fast food/burgers?’,” he said. “So we could analyse each of these categories, but not split them down any further. Many parents of children with asthma and allergies will already be watching carefully their child’s diet since certain foods – notoriously nuts – are known to trigger allergic reactions. With news that studies show apparently bland burgers, nuggets, pasties and similar fast foods could contribute to the risk, they will be keen to know what research suggests are the safer options for family dinners. One better bet appears to be a Mediterranean diet. Asthma UK cites research into diet and asthma arried out in Athens in 2011 by Grigoropoulou and colleagues, which compared school children in the city with those in a rural part of Greece. They found that the urban children were more likely to get asthma, but eating a Mediterranean diet, rich in vegetables, fish and oils, appeared to protect them. Fish oils on their own, however, did not do so well in a study from Edinburgh University published in 2009. This was a review of a number of studies where children had been given omega 3 and omega 6 supplements in the hope of preventing allergies, while other comparable children had been given placebos – dummy pills. The researchers found no clear evidence that the supplements had any protective effect. “Contrary to the evidence from basic science and epidemiological studies, our systematic review and meta-analysis suggests that supplementation with omega 3 and omega 6 oils is probably unlikely to play an important role as a strategy for the primary prevention of sensitization or allergic disease,” they concluded. Trans fatty acids have been linked to asthma and allergies before, in addition to raising cholesterol levels and the NHS advises people to reduce their intake. The fast food study suggests that the best advice for parents wanting to protect their children from asthma and allergies is to try to ensure they have a generally healthy diet, with plenty of fruit and hopefully some vegetables, and to steer clear of fast food restaurants. • This article was amended on 15 January 2013 to clarify that the study found that children aged six to seven had an increased risk of 27% of having severe asthma, if they eat burgers and other types of fast food more than three times a week. Mothers who are in close contact with electromagnetic fields while pregnant could have children with an increased risk of developing asthma, state U.S. scientists. Such devices examined in the study included microwaves ovens, hair dryers and vacuum cleaners. The study conducted fits in with the ongoing debate as to the impact that long-term exposure to electromagnetic fields, such as power lines, vacuum cleaners, appliances and hair dryers, has on human health. Previous studies that have denied a relationship exists between electromagnetic exposure and health have not measured exposure directly but asked participants to estimate exposure. Published in the Archives of Pediatrics and Adolescent Medicine, scientists from Kaiser Permanente conducted a study that involved a group of 801 expecting women. The mothers-to-be were fitted with electromagnetic monitors that recorded the amount of low-frequency electromagnetic exposure they received over 24 hours. Medical records were used to track the children of exposed mothers over a period of 13 years. The study revealed that almost 21 percent of the children had developed asthma; most by the time they were just 5 years old. When these results were compared against the mother’s exposure levels it was found that those who were within the highest amount of exposure were 3.5 times more likely to have a child with asthma than those in the lower exposure group. Children moderately exposed were at a 75% increased risk of asthma than those in the lowest exposure group. Dr. De-Kun Li, senior research scientist at the Kaiser Permanente in Oakland, California and other researchers suspect that electromagnetic fields, which have previously been linked to an increase in miscarriages, may affect immune response, which can trigger the development of asthma. At the least, states Li, this study suggests a need for further research into the issue. 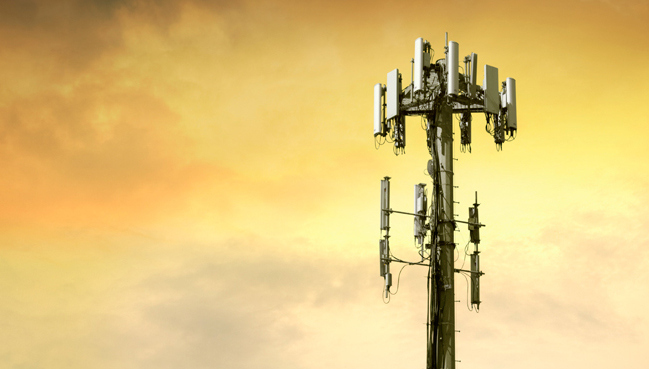 Similar research revolving around the impact electromagnetic frequencies have on animals and humans found that exposure to these fields negatively alters important proteins found in the brain. The researchers found that 143 proteins in the brain were negatively impacted by radio frequency radiation over a period of 8 months. A total of 3 hours of cell phone exposure were simulated over the 8 month time period, and the results showed that many neural function related proteins’ functional relationship changed the for worse. About 13 percent of children under the age of 18 have asthma, a condition that is caused by a malfunction of the immune system and the respiratory organs. Asthma is often treated with harsh pharmaceutical drugs that were found to actually kill more people each year than asthma alone, but safer solutions – such as minimizing exposure to electromagnetic chaos – do exist. Pregnant women who use hairdryers, microwaves, vacuum cleaners or who live near pylons could be putting their babies at risk of asthma, claim scientists. They warn that exposing unborn children to potentially harmful magnetic energy produced by household appliances and power lines could treble their child’s chances of suffering from the condition. Experts believe that the finding could partly explain why asthma rates in children have increased so dramatically in the last few decades. Back in 2002, Philip Landrigan and a team of other researchers at Mount Sinai Medical School estimated the annual cost of four childhood conditions — lead poisoning, cancer, developmental disabilities and asthma — that could be connected to environmental factors. The numbers were surprising: Landrigan estimated that the environmental factors cost as much as $54.8 billion, or about 2.8% of total U.S. health care spending in 1997, the year the study drew from.